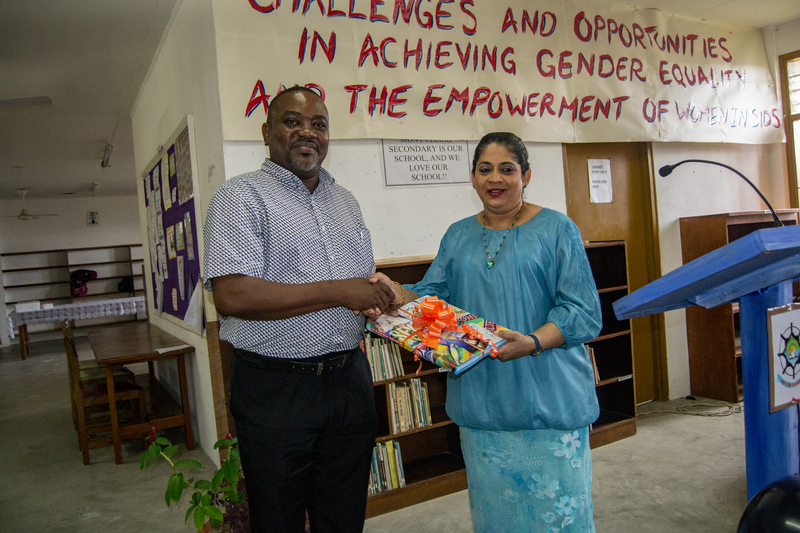 “The CEO Seychelles Pension Fund, Mrs Lekha Nair presents a copy of the book “ Art in Seychelles, Then and Now” to Mr. Jean Alcindor, DG for Education and Student Support Services (DG ESSS) of the Ministry of Education and Human Resource Development in a ceremony at the Mont Fleuri Secondary School this morning. This book presentation ceremony to states school is part of the activity to present all schools in Seychelles with a copy of the Book which is a collaboration between SPF and Arterial Seychelles. The aim is to engage and identify with the self-employed sector to value their work and in doing so improve SPF visibility and relevance amongst them. 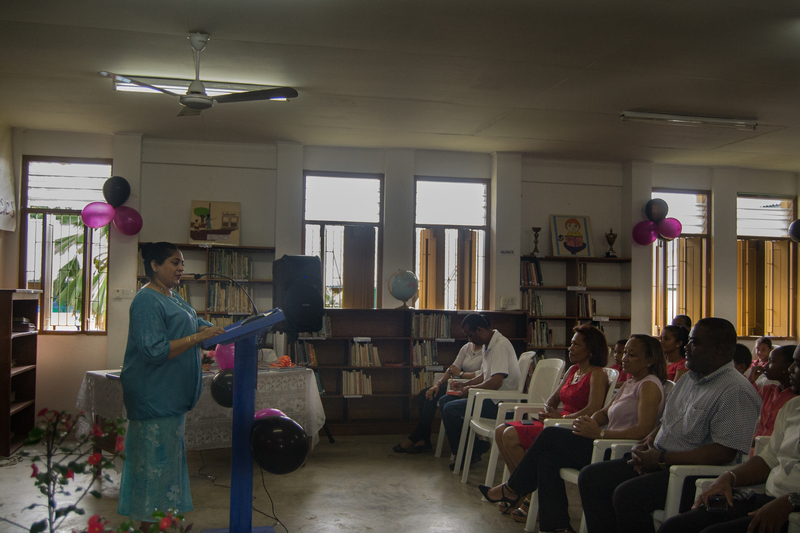 Due to its richness in content, the books were additionally identified as a tool to introduce school children to the purpose of Seychelles Pension Fund and to appreciate the realities of life at an early stage.